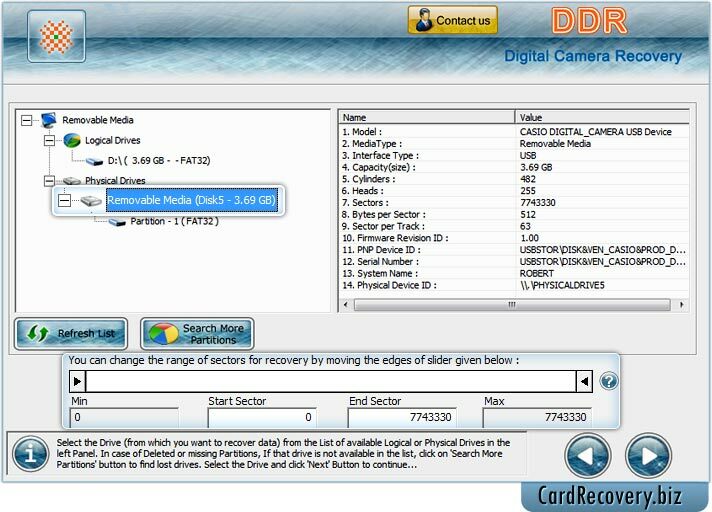 Select removable media (digital camera) to recover lost data. 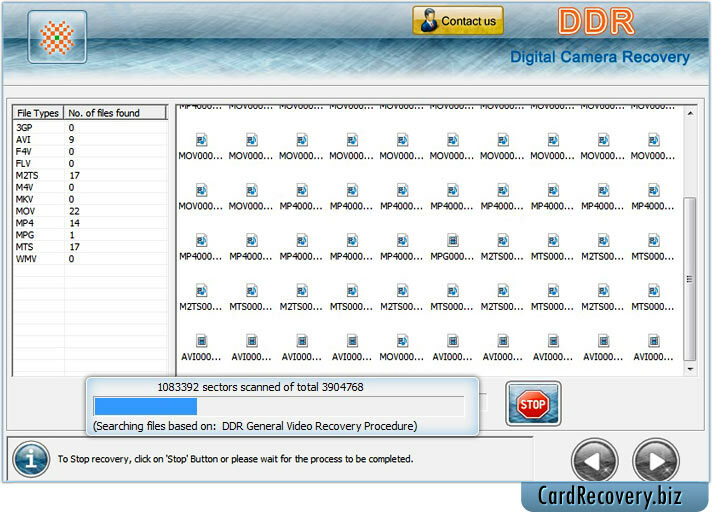 Check “Also Perform DDR Thorough Scanning Algorithm Search” to perform disk scanning after general recovery procedure. 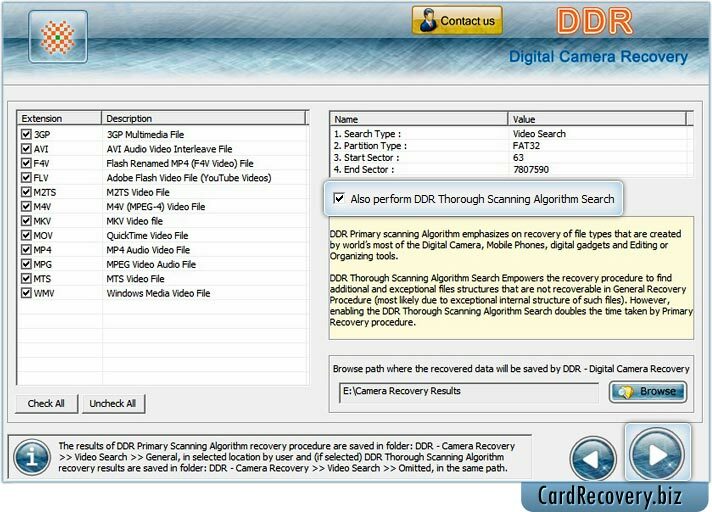 Perform disk scanning using DDR General Video Recovery Procedure to search lost videos and photos.